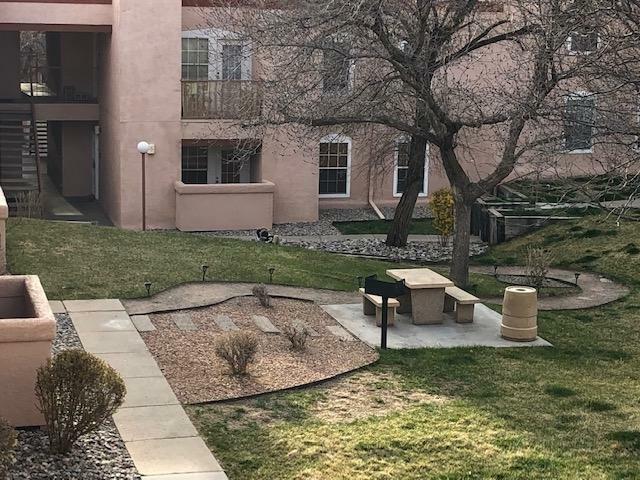 Freshly painted condo Walk-up, second floor two bedroom, two full bathrooms with interior courtyard views. 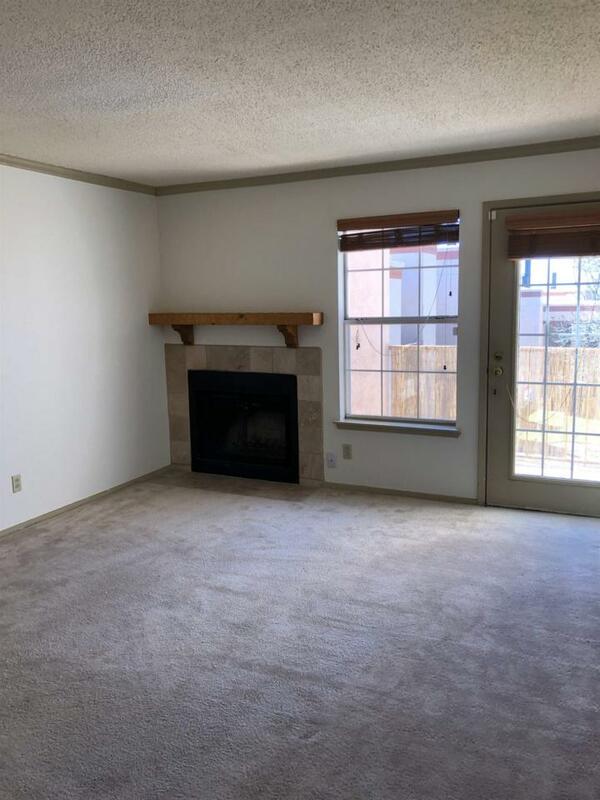 This condo has tile countertops in kitchen and both bathrooms. 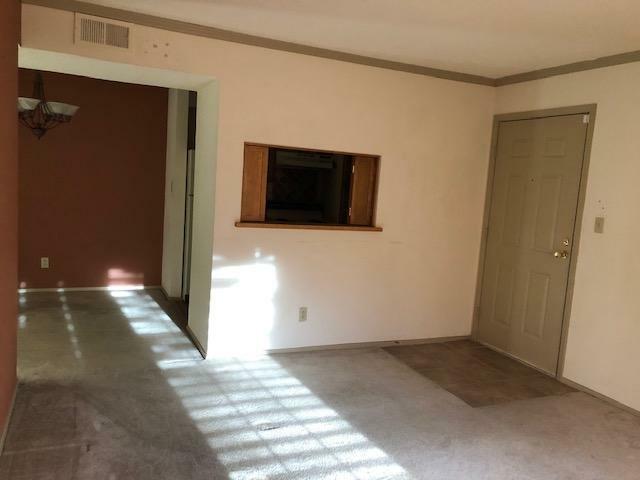 The adjacent dining area 9 X 8.5, Living area is 14 X 12 with a wood burning fireplace (HOA clean's every other year), central air conditioning, small patio/balcony to enjoy. Both bedrooms have sizable walk-in closets, the master bedroom is 13 X 11 and the second bedroom is 9.5 X 11. 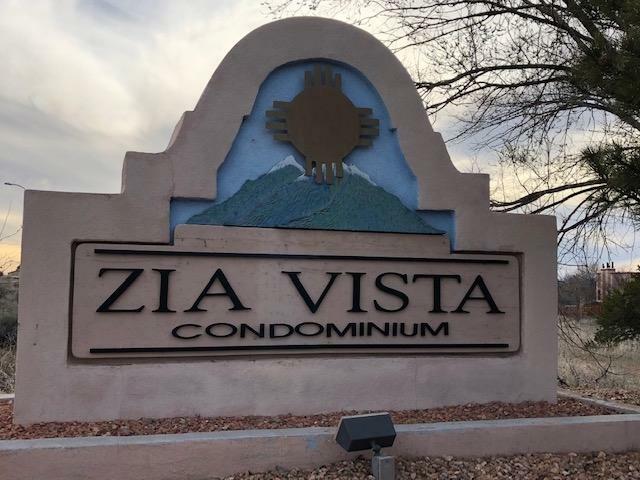 The community of Zia Vista offers the following amenities; elegant clubhouse with a kitchenette, piano, game tables, vast amount of library books and videos the daily newspaper, a fitness center on the second floor of the main building. An outdoor pool that is seasonal, a hot tub that is usable year round. Professional landscaping once a week. This is a small gated community that shows a great deal of pride and is managed by WestGate property management.